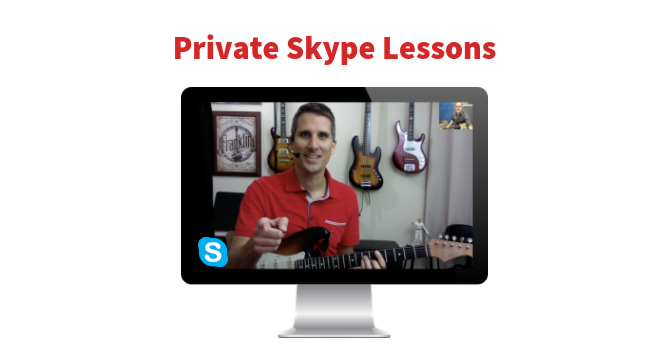 Learn how music works and gets applied to the guitar fretboard through Desi Serna’s comprehensive books, video courses, and private Skype lessons. Increase your knowledge of music, understand the construction of popular songs, and improve your improvisational and compositional skills to take your guitar playing to the next level. 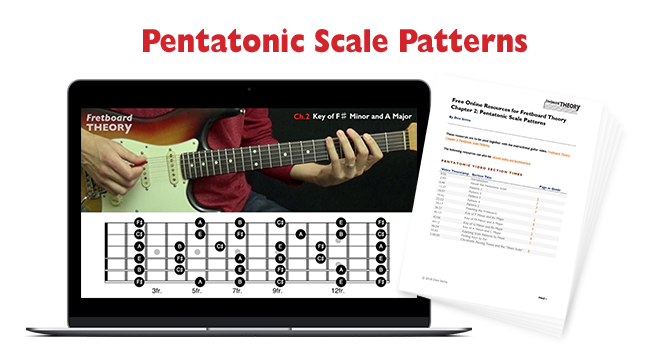 Pentatonic Scale Patterns is the best place to get started with learning scale patterns and playing riffs and solos from popular songs. This video instruction is taken from Fretboard Theory Chapter 2. 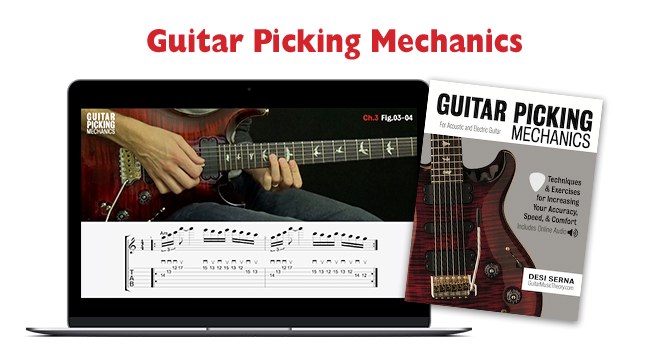 Buy this instruction as a stand-alone course or get it when you buy the complete Fretboard Theory course above. 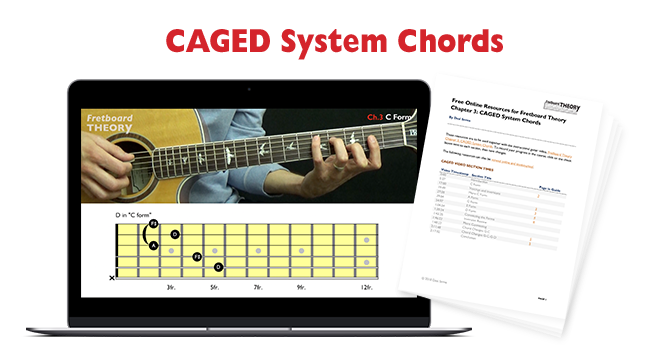 Whether you want to gain the skills necessary to play in the style of your favorite artists or write music better than ever before, the CAGED System Chords are sure to open up the fretboard and take your playing to the next level. This video instruction is taken from Fretboard Theory Chapter 3. 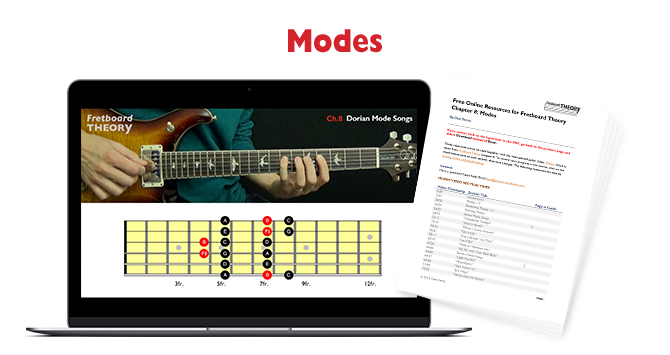 Buy this instruction as a stand-alone course or get it when you buy the complete Fretboard Theory course above. 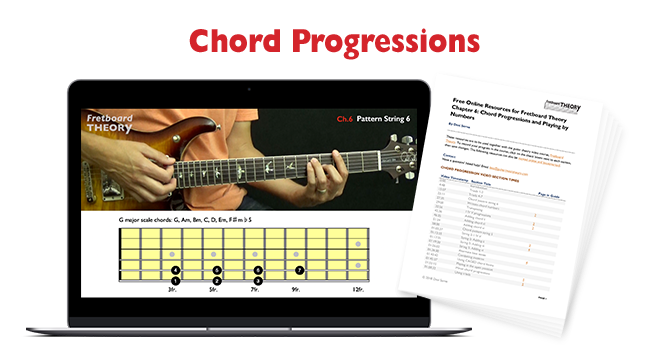 In Guitar Chord Progressions and Playing by Numbers, you learn where chords come from, how they relate to one another, and how they fit together on the fretboard to make songs so you can quickly pick up on chord changes and easily compose your own music. This video instruction is taken from Fretboard Theory Chapter 6. 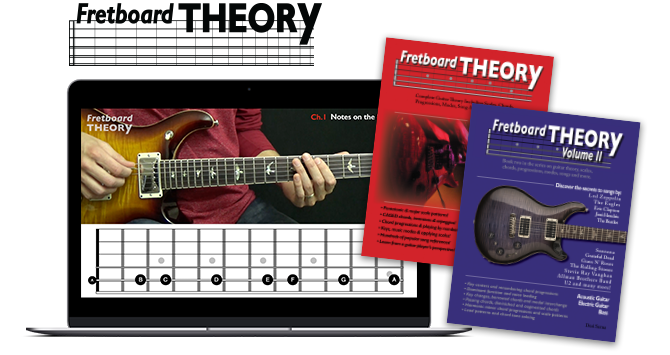 Buy this instruction as a stand-alone course or get it when you buy the complete Fretboard Theory course above. Whether you aim to be a better lead guitarist, better rhythm guitarist, better song writer, or you just want to know why your favorite songs sound so good, getting to know modes is necessary. In this 2-hour video, which is taken from Fretboard Theory Chapter 8, you play modal chord progressions and modal scales, and you see how everything relates to popular songs so you connect what you learn to something familiar. Guitar Picking Mechanics equips you with the picking skills needed to play popular styles of music as proficiently as possible. Become a better and more confident player by learning how to plan your picking so you pick your parts perfectly each time. This course is sold separately from Fretboard Theory and is not included in the complete Fretboard Theory course above. 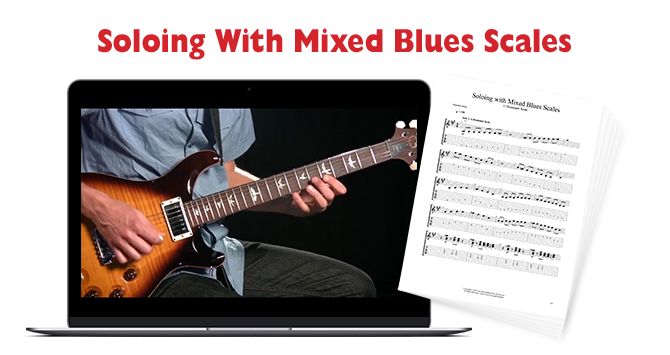 In Soloing with Mixed Blues Scales, you mix the major pentatonic, minor pentatonic, and Mixolydian mode to play over a dominant seventh chord. This is a must-know technique for anyone serious about playing blues, rock, country, and jazz. This video instruction is sold separately from Fretboard Theory and is not included in the complete Fretboard Theory course above. 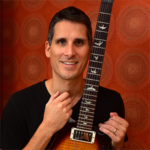 Through a step-by-step process, I guide you through the ins and outs of teaching and illuminate the professional and personal benefits that guitar instruction can offer you. 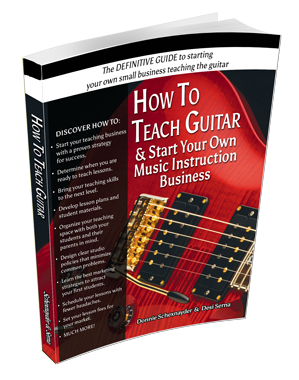 It’s the definitive guide to starting your own small business teaching the guitar. This book is sold separately from Fretboard Theory and is not included in the complete Fretboard Theory course above.